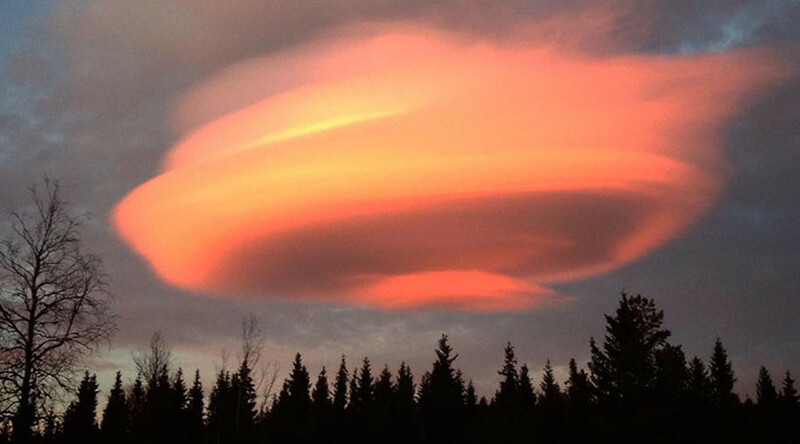 Skiers in Sweden were left dumbfounded when a UFO-shaped cloud appeared over the resorts of Åre and Duved, sending onlookers into a mania of picture snapping and uploading lots of stunning visuals onto social media. UFO enthusiasts will be disappointed to learn, however, that far from being visitors from a distant galaxy, these clouds, though rare, are terrestrial. They are known as lenticular clouds, and form when air is forced to rise when it comes in contact with a natural or manmade object, such as a mountain or skyscraper. When the air then cools, it forms amazing shapes.